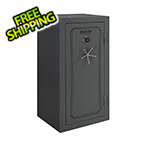 This 36–40 gun Fireproof and waterproof Total Defense safe is available with either a dial combination, electronic combination or biometric fingerprint lock. 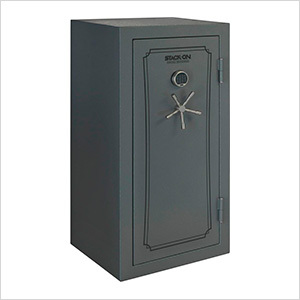 Inside the safe, a factory-installed electrical outlet is ready to power electronic devices and the flexible interior can be configured to store MSRs and long guns. 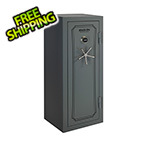 Complementing the gray carpeted interior is a factory-installed door storage organizer with sewn-in holsters and pouches.